Use Nails or Screws for Your Vinyl Deck? Building a Vinyl Deck – Nails or Screws? Choosing the best tools for the job is key when building a vinyl deck or any other project. 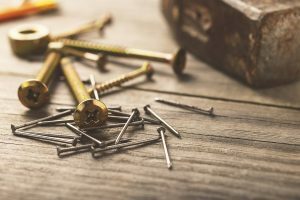 Many contractors and home builders get into a common argument on whether to use nails or screws with these projects – Tuff Industries explores the best way to secure your project. While ideally your project turns out perfectly and lasts forever, in reality you might have to make changes down the road. In this case, screws are a good choice. They can be easily removed without causing damage to the underlying wood structure. The constant pull of weight moving across a deck can, over a period of time, causing nails to move. Attaching the deck board to the structure with nails ensures that you create a secure deck that will not move. When hammering nails into a deck, you’re causing a lot of vibration to the surrounding structure. For new builds this might not be as much of a concern, but if you are adding to an older deck you might cause existing nails to shake loose. 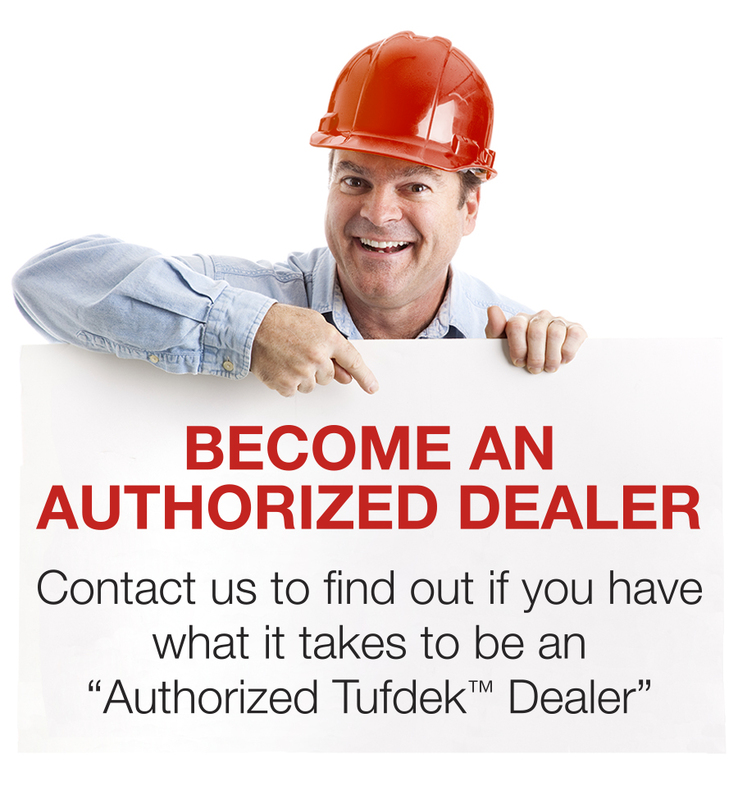 Besides the hardware you choose, you also need to choose the best hardware for the job. You always want to select the right length and size of screw for the job. A screw that’s too long might protrude out the other side, causing a safety hazard, while one that’s too short might not be able to the job over the long term. You also want to use coated screws so they won’t deteriorate over time or cause rust marks to your beautiful vinyl membrane. Wearing eye protection might seem silly, but you don’t know when a piece of wood or metal might shear off. It can also help to use an impact driver, rather than a regular drill, which will help you keep from stripping your screws. Local building codes can act as a guide, to give you an idea of the tools you should use in a particular situation. You can always choose to use *more* than the codes specify for your vinyl deck building project, but never less (if you want a safe vinyl deck, and to pass inspection). If you are hiring a contractor, you’ll want to review with them the tools and hardware they are using before the project starts – you can always choose to improve on the project for a better final product. 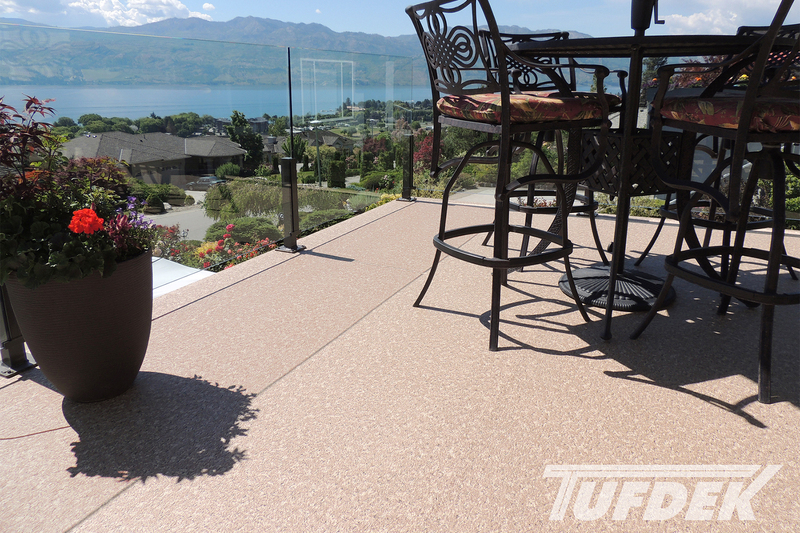 Talk to a vinyl deck installation professional if you have any questions or concerns.